• Single pair or multiple individuals may spawn together or sequentially in the nest. 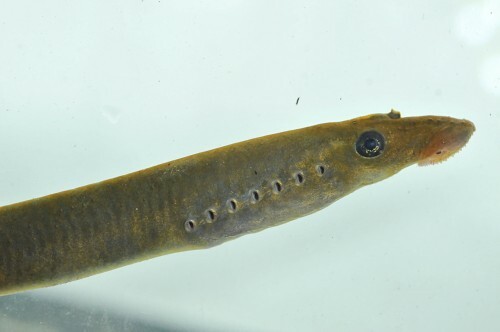 • Genetic evidence shows that populations of Western Brook Lamprey from different river systems are more closely related to local populations of the the seagoing species River Lamprey than they are to one another. • Some adult Western Brook Lamprey in Morrison Creek, Courtenay BC do not spawn and die in the year they transform. 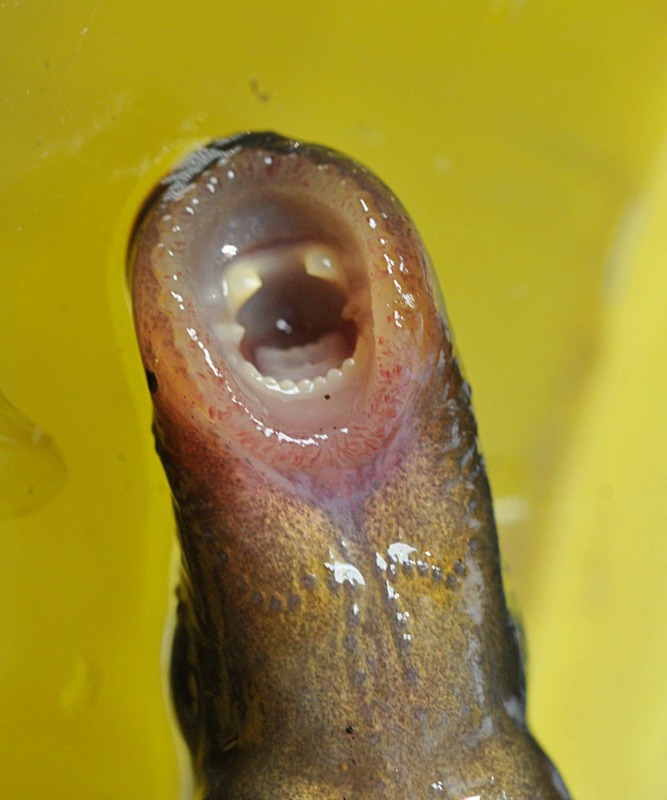 They are silvery, have sharp teeth, and feed for extra year in the stream before spawning. They are listed as as endangered under Canada's Species at Risk Act.